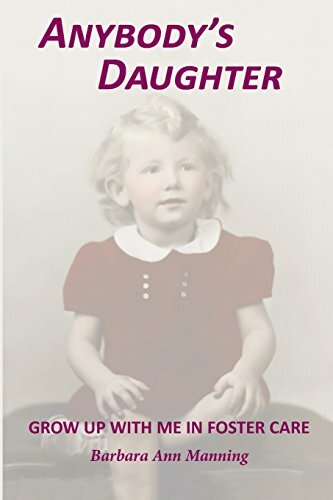 Categories: Adoption Fiction, Adoption Memoirs, Foster Care Adoption. 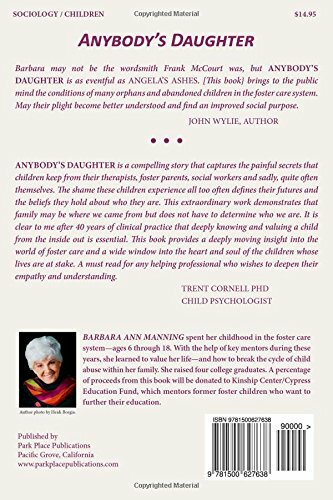 Barbara Ann Manning spent her childhood years in the foster care system—age 6 through high school graduation at age 18. With the help of key mentors during these years of neglect and abuse, she learned to value herself and her life. Barbara broke the cycle of abuse within her family and raised four children—all college graduates. This is her story.